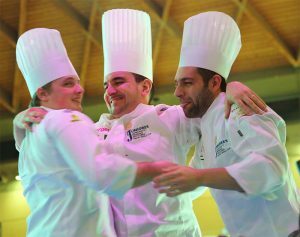 The Italian team, led by Davide Malizia, won the fifth edition of the World Junior Pastry Championship, which was one of the highlights of Sigep 2019, held from January 20 to 24 in Rimini (Italy). A fair that in its 40th edition wanted to focus on trends, new formats, innovation, and internationalization, and which had the ability to attract 2% more members of foreign trade than in the previous edition. In terms of figures, Sigep again exceeded 200,000 visitors, of which 32,848 were foreign buyers from 185 countries, with Germany and Spain being the countries from which the largest number came, followed by France, Poland, and England. There was also important participation by large markets such as the United States, Russia, and China. In social networks, the fair played a key role: more than 10,000 photos on Instagram with its official hashtag and more than 9,000 downloads of its application. 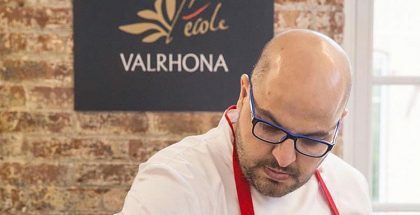 In addition, 1,250 exhibitors, with their multitudinous demonstrations, caught the attention of professionals in pastry and bakery, as well as the protagonists: coffee and ice cream. Within the framework of the activities, it is worth mentioning the Gelato d’Oro championship, in which the members of the Italian team that will participate in the Gelato World Cup 2020 were chosen: Eugenio Morrone (ice cream), Massimo Carnio (pastry), Marco Martinelli (chef) and Michela Ciappini (ice).